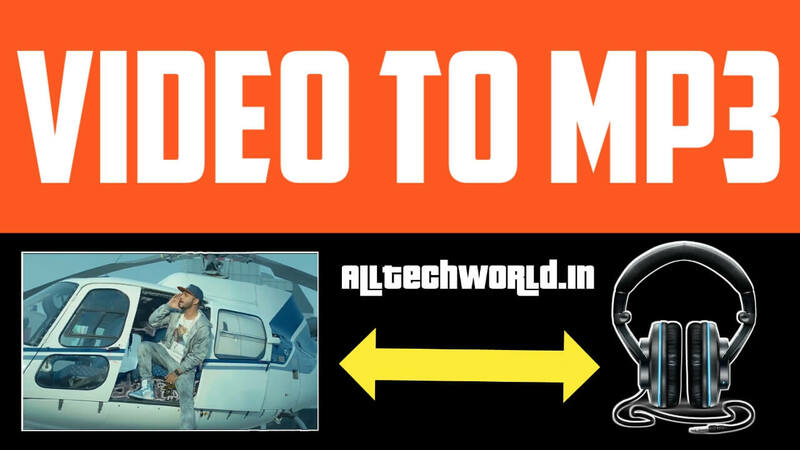 Home / Android / App Review In Hindi / TechTips&Tricks / App Review #02 - Mobile Se Video Ko Mp3 Me Kaise Convert Kare? App Review #02 - Mobile Se Video Ko Mp3 Me Kaise Convert Kare? 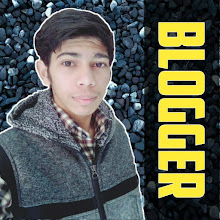 Agar Aap Bhi Apne Kisi Song Ko Video Format Se Audio Format Me Convert Karna Chahate Hai, Toh Aaj Ki Iss Post Me Hum Isi Ke Baare Me Batayenge. Mobile Se Video Ko Mp3 Me Kaise Convert Kare? Aayiye Jaan Lete Hai. Mobile Se Video Ko Mp3 Me Kaise Convert Kare? Ye Bahut Hi Aasan Hai. Jisko Aap Apne Mobile Smartphone Se Kar Sakte Hai. Iske Liye Aapko Ek Android App Ki Jarurat Hogi Jiska Name Hai Video To Mp3 Converter. Ise Aap Google Play Store Se Free Me Download Kar Sakte Hai. Is Aap Ka Interface Bahut Hi Aasan Hai. Is Aap Ke Ander Aapko Video Cutter, Audio Cutter Sath Video To Audio Option Mil Jata Hai. Bas Is Hi Option Ki Madad Se Aap Kisi Bhi Video Ko Mp4 Me Convert Kar Sakte Hai. 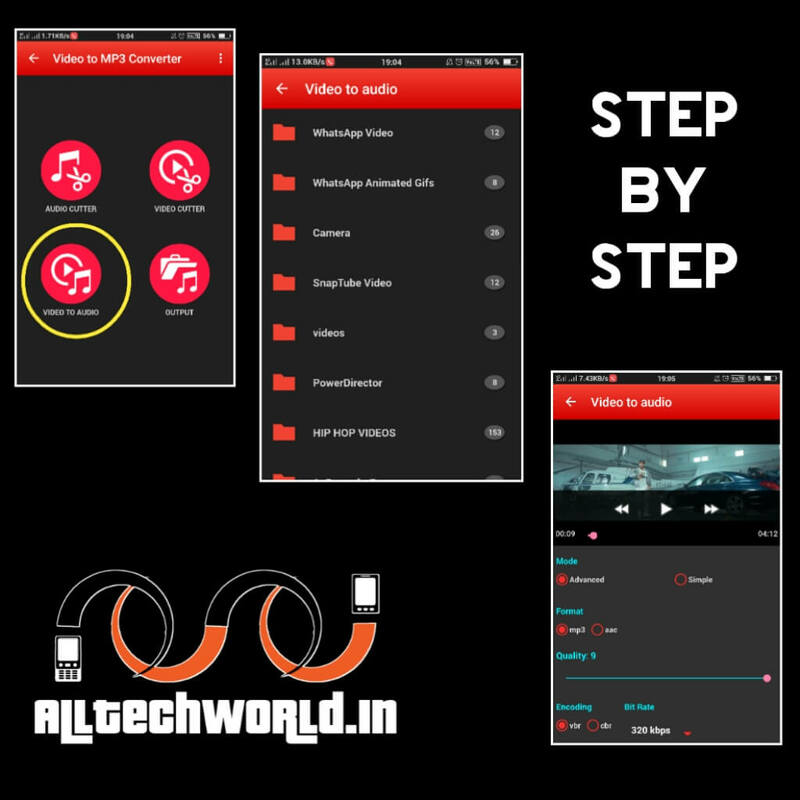 Step By Step Guide : Mobile Se Video Ko Mp3 Me Kaise Convert Kare? ◆ Sabse Pehle Google Play Store Se Video To Mp3 Converter App Ko Download Kare. ◆ App Ko Download Hone Karne Ke Baad Open Kare, Ab Video To Audio Option Par Click Kare. ◆ Ab Kis Folder Me Aap Ka Video Hai Usse Choose Kare. ◆ Ab Advanced Mood Me Format Ko Mp3 Select Kare, Quality 9 Kare, Encoding vbr Kare, Bit Rate 320 kbps Select Kare. ◆ Convert Ke Button Par Tap Kare, Ab Aapka Song Video To Mp3 Convert Hona Shuru Ho Jaega. ◆ Bas Ho Gayi Ye Problem - Mobile Se Video Ko Mp3 Me Kaise Convert Kare? Solved ! Kisi Bhi Mp3 Song Ki Ringtone Kaise Banaye?